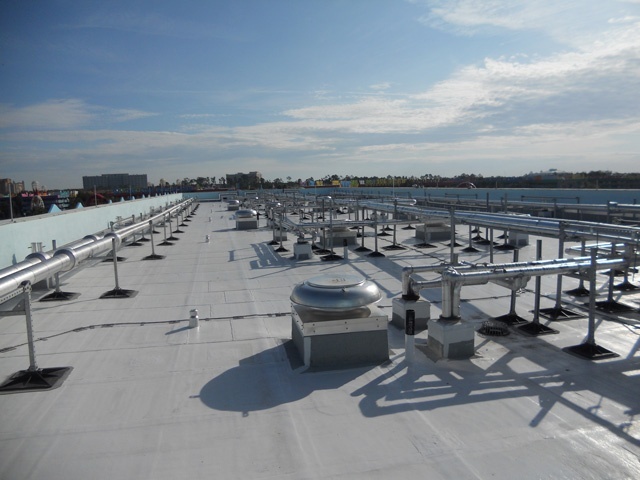 Hotel rooftops contain ventilation units, ducting, telecommunication equipment, and much more to accommodate the comfort and entertainment of guests. 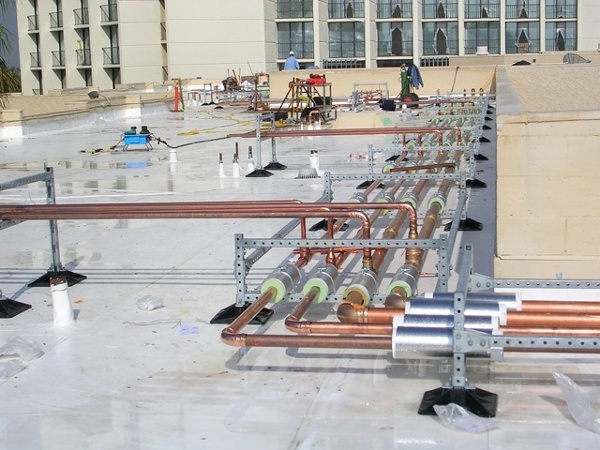 If hotel roof support systems fail to evenly distribute equipment weight, equipment can begin to penetrate the roofs surface, causing leaks and expensive damage to the interior of the building. The PHP team has created the first “zero penetrations” hotel roof support system, which uses state-of-the-art polypropylene bases and hot dipped galvanized adjustable steel supports to custom fit your hotel rooftop needs. 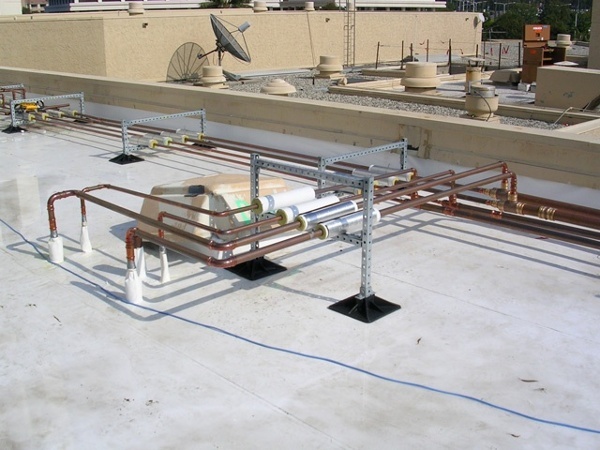 We design and engineer support systems without the need of rooftop penetrations or flashing. 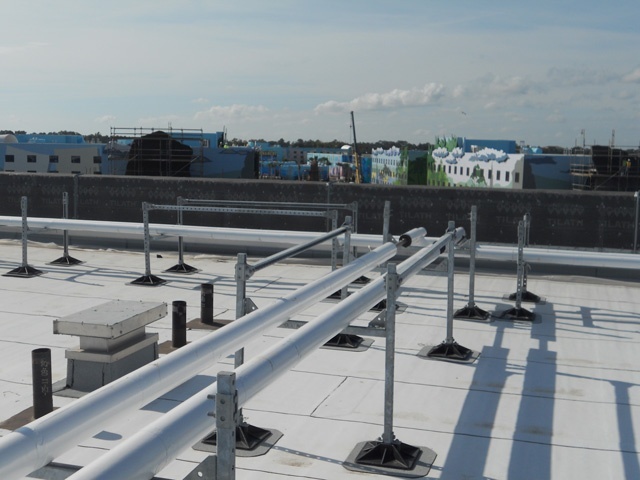 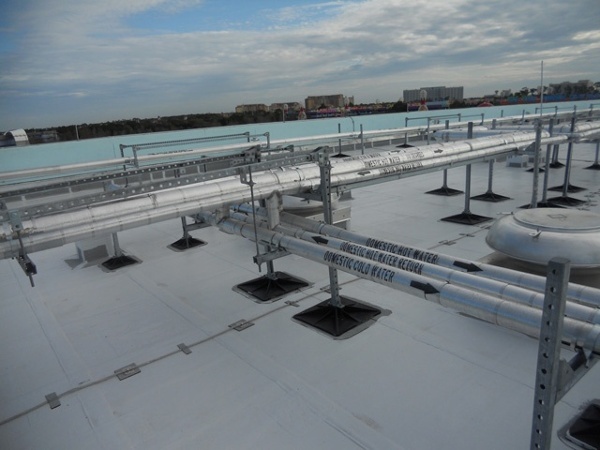 Check out our pictures to see for yourself how our hotel roof support systems can preserve and protect the quality of your rooftop.